While it may seem like everyone should purchase a brand a new vehicle at least once in life, sometimes finances simply make that dream out of reach. A new car does smell nice and is fun to show off when driving down the road but, after all, that is not everything. Why should you spend practically all of your savings on a new car when you can buy pre-owned for a fraction of the price? With a new vehicle, you constantly worry about damaging it and the depreciation alone is 20-30% within the first 2 years that you own it. Buy smart and buy used with these used car tips buying with poor credit in Wentzville. A pre-owned car affords you more expensive options than you may be able to spend on a newer make and model. There are at least 7-10 (or more) years of reliable service on a used car that is 2 or 3 years old. Today’s car manufacturers are known for building strong, dependable autos. A car or truck with 100k or more on the odometer is quite standard and one with 200k or 300k is becoming even more commonplace. 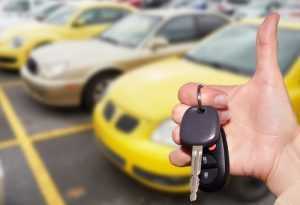 Most dealers have a wide variety of vehicles auto financing with any credit. We have been an area leader for years with an inventory of vehicles of all price ranges and style. Talk to a member of our sales staff at (636)940-7600 for additional information about our dealership and used car tips buying with poor credit in Wentzville. It is worth your valuable time and money to shop with us.